I finished recording Episode 2 of the podcast. The show notes are below. I’ve really been on a sewing kick lately. And I am not fighting it. Because sewing happens so infrequently in my life (I’m a knitter at heart), I don’t get much sewing done. So, I’m using this bout of inspiration to fill in some wardrobe gaps I noticed during Me Made May. At the conclusion of Me Made May, I really wanted more dresses and skirts in my wardrobe. So far, I have finished two dresses and a skirt. Today, we will talk about that skirt. Years ago, I noticed this beautiful pattern when Tassadit created the most wonderful and elegant version of this skirt HERE. But, I wasn’t sewing at the time (didn’t even own a sewing machine), so I simply admired the beautiful work. This skirt pattern has been the pattern I’ve been searching for since I started sewing. It is Sewaholic’s Hollyburn skirt. I really like the high-waist fit and the flared bottom. This is the epitome of my style. And an extra bonus is the pockets! And the button tabs! I actually purchased this pattern over a year ago for the Outfit Along, but was unable to participate. So, this pattern just sat static for over a year. The pattern worked up surprisingly quickly. I actually cut out the pieces, the fabric, and started sewing after church on Sunday. I finished at around 1am that morning. (Sewing always makes me pull late nighters. Lol). The fabric used is a salmon pink denim that I found at Joann’s Fabric store. I actually visited Joann’s fabric store the day before and bought a zipper. I noticed that fabric while there, but resisted purchasing it. Well, that night I couldn’t get it out of my mine. So, I woke up early the next day and went back to Joann’s to get the fabric (It helps that the Joann’s is literally down the street from my place.) Overall, I am very pleased with the flow of the fabric with the pattern. It is exactly how I envisioned it in my mind. The button tabs are another favorite aspect to the skirt. I purchased the buttons at Joann’s also for only 50 cent! That was a deal for beautiful wooden buttons. 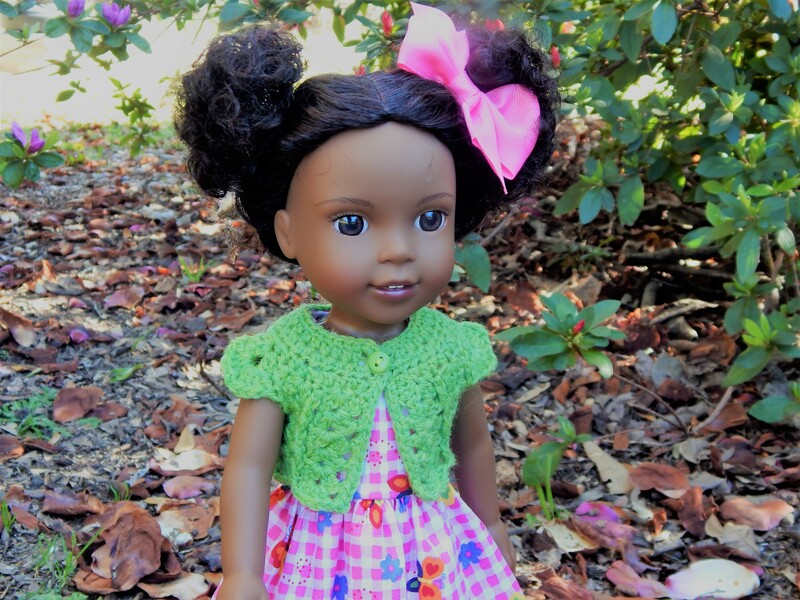 In addition to that, the flowers on the buttons perfectly match the color of the skirt. They were made for each other. I definitely see more Hollyburn skirts in my future. I have been working diligently on my outfit for the Outfit Along. Last week I underlined my dress and begin sewing on Friday. The dress was completed on Saturday. And I actually wore it to church on Sunday. I actually received a few compliments on the dress. I forgot how long the bodice takes to work up on Simplicity 1803 (especially compared to Simplicity 2444); however, I really like the shaping that the princess seams provides with this bodice. Once the dress was finished, then I decided it was time to give my Anaheim cardigan more attention. 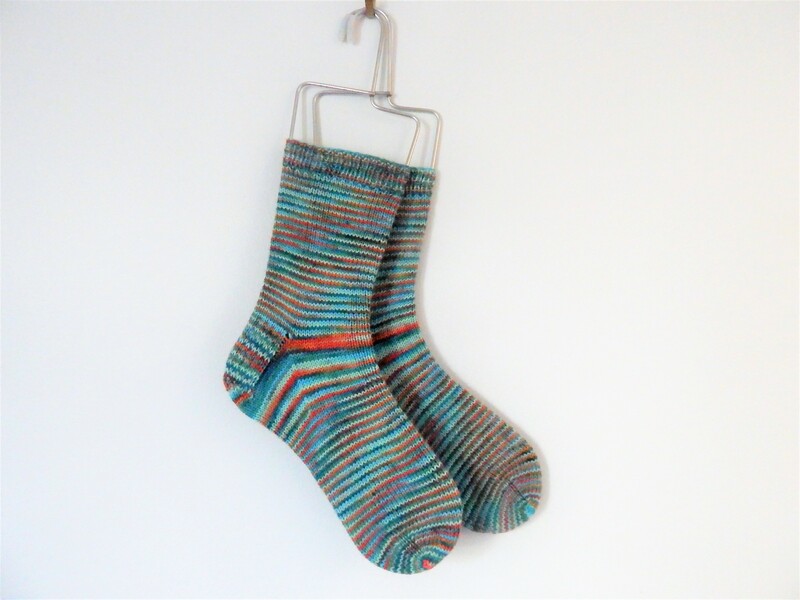 That has been my sole knitting project this week. I did have a mishap at the underarm CO and waist shaping section. In this part, the instructions tells me to include the stitch pattern as it fits. Well, I didn’t include it where it fit on one side and there was more stockinette than lace. I thought that it wouldn’t bother me and kept working. However, the more I looked at it, the more I hated it. So, I had to rip back 6 rows in the body. That was a pain. Ripping back lacework is no fun. But, I did it and it all worked out beautifully. I am so happy that I decided to fix that mistake. I look forward to wearing this cardigan with my finished dress and will be sure to share the final images with you all. In the past, I had issues when I first created this dress. My problems and solutions to those problems can be found in this past post. Despite the problems, I still really liked the dress and it is one of my most worn dresses in my closet. Therefore, I thought it was about time to recreate another Simplicity 2444. The fabric was bought and cut over a year ago, but it sat in my stash just waiting to be sewn. So this past Saturday, I made it my business to finish this dress. I am so happy that I did! 😀 I made the same adjustments that I made to the previous dress by letting out the side seam allowance to 1/4” and not bringing in the back pleats/darts in as much. The fit is exactly how I like it. The fabric used is actually this corduroy that I found at Joann’s. I bought it with the intention of it being a staple autumn/winter dress. Of course, I plan on wearing it other times of the year. In fact, I just wore it this past Sunday. 😉 I really enjoyed working with corduroy and want to make another dress in corduroy and a pair of pedal pushers in red corduroy. The fabric has a nice volume/substance and it presses so well. The pleats turned out alright and I know I could have done a better job. However, that is such a minor thing compare to the overall dress. I just purchased a new Simplicity 2444 and want to sew it up 2 sizes. Because I cut out a size 4, that ended my chance of sewing a larger size. With this new pattern, I hope to avoid having to make those adjustments. Also, it was on sale for only $5! Today marks the first day of the OAL2017. I’m pretty excited about this outfit along and look forward to having a completed dress and cardigan at the end of it all. 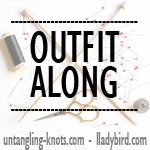 The idea of the Outfit Along is to knit a garment and sew a garment. Patterns are suggested for the Outfit Along; however, you don’t have to adhere to those patterns. 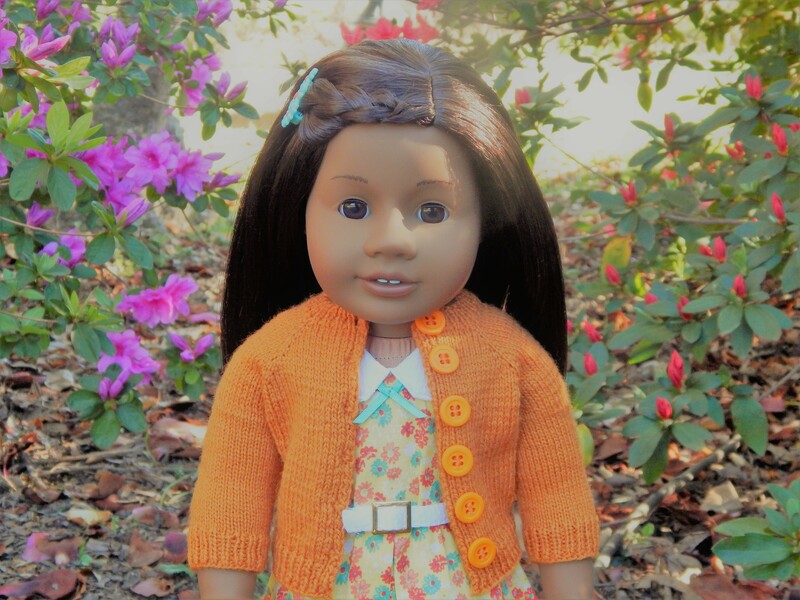 In fact, I will be knitting the suggested cardigan of Anaheim; however, I will not be knitting the suggested dress pattern of Kim by By Hand By London. Instead, I will be knitting Simplicity 1803 again. I actually went to my stash for everything needed for the Outfit Along. I did not want to purchase new yarn, new fabric, or a new pattern. My stash may not be large, but I did bring a few things to Columbia with me. So, for the yarn I will be using Knit Picks Wool of the Andes Sport in the color Avocado. (I was actually eating an avocado while knitting my gauge and it actually matched the avocado perfectly. 🙂 ) The pattern actually calls for a DK weight yarn, but I was able to get gauge with a sport weight yarn by blocking it heavily. I also went down to a size 5 needle because I did not want the fabric to be too open by using a larger needle. To avoid having to block the finished garment quite so heavily, I will knit up a size to size Small instead of my usual Extra Small. Hopefully, this will all work out. As for the dress, I will be using this fabric that was a gift to me from a previous co-worker. She is from West Africa and this is fabric from her home. I really like the bright cheery colors and I think it will make a beautiful dress. Also, I want to add underlining to the dress to give it a bit more depth. I plan on making the version of the dress that has the simple neckline. I think that little dip will look lovely with the V-neck portion of the cardigan. Today marks the end of Me Made May 2017 and I am happy that I stuck it through. Last year, I didn’t make it to the end. 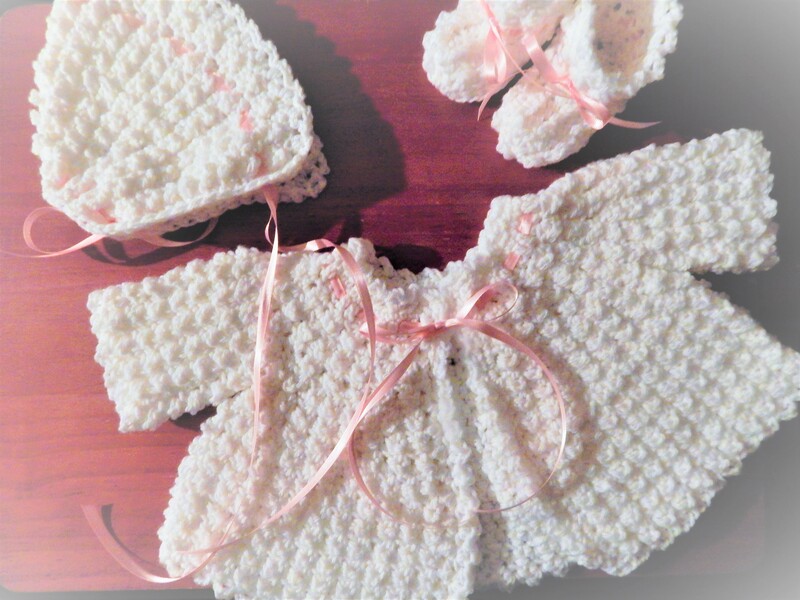 If you would like details about the knit patterns they can be found at my Ravelry page HERE. 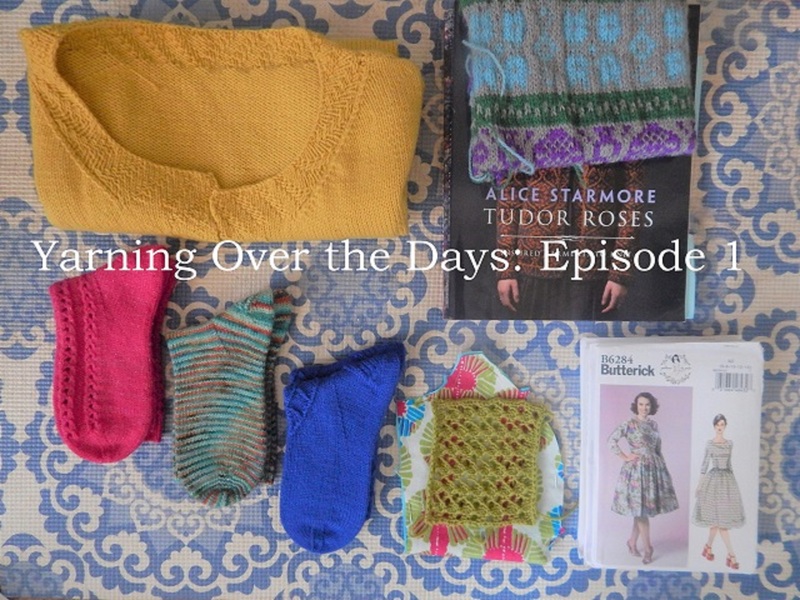 I also blogged about some of the knitted garments. 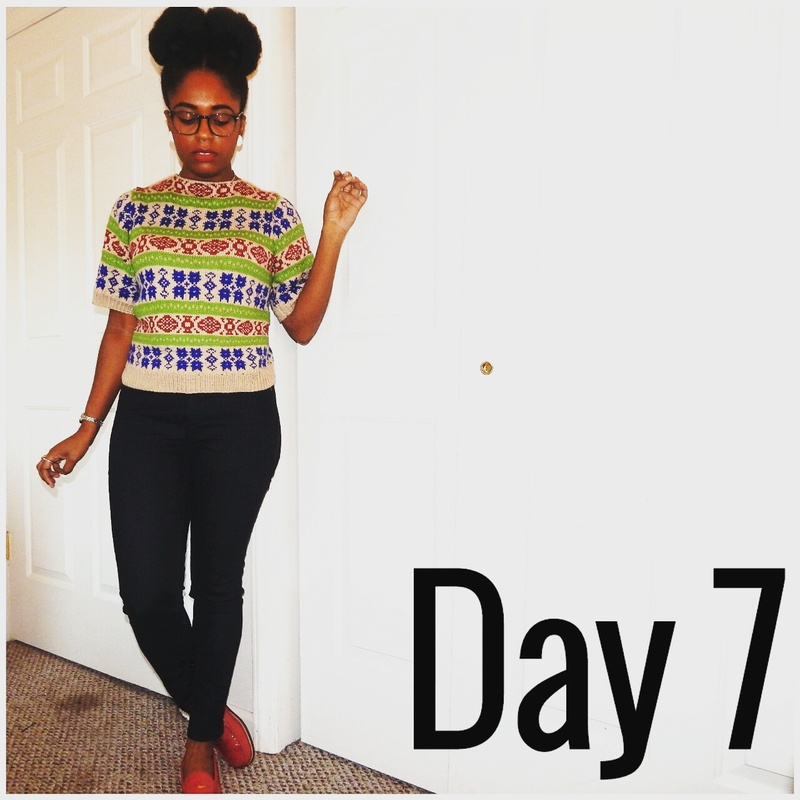 Also, all of my sewn garments were also blogged. 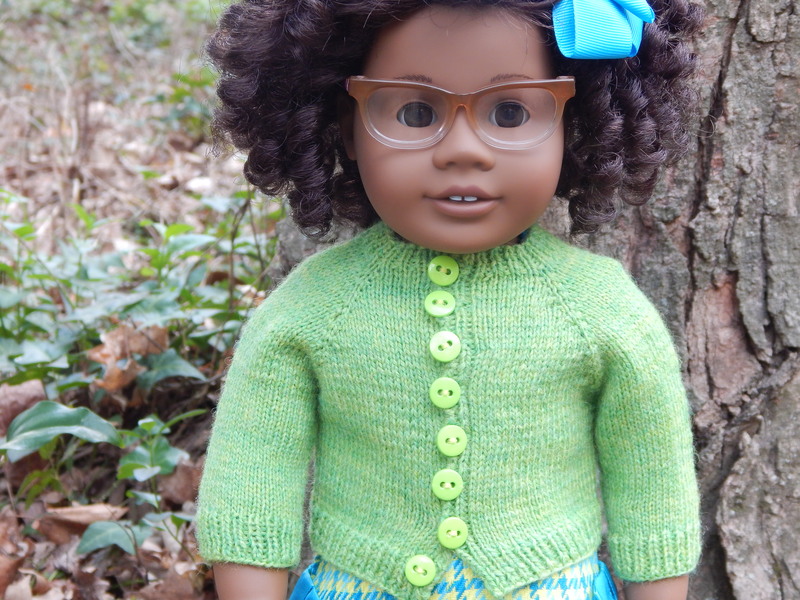 My goal–which is going to be very hard–is to sew more dresses. To take the steps to achieve this goal I am joining the OAL2017. I am going to try to sew 2 dresses this year. One dress will be more for Spring (though to be honest, I’m sure I’ll rock it in the fall/winter) and the other dress will be more Autumn. I’ll go into further details about my plans for the Outfit Along in a later post. Well, that concludes my Me Made May 2017 and it really inspired me to pull out the sewing machine. Over a year ago, I saw an Instagrammer wearing the Sycamore Vest by Hannah Fettig and I immediately wanted to make myself a version. Therefore, I purchased the book and the yarn that was used for the pattern. I would’ve never thought that the yarn would sit in my stash for over a year before I cast on. So, this past March I decided it was now time for me to start my Sycamore Vest. The shape of this vest is a departure from my typical knit clothing. I definitely prefer fitted and cropped clothing that has a vintage feel to it. However, I decided I wanted to try something new. I am pretty pleased with the effortless easy flow to the vest and I do think it will get regular rotation of wear. The color is one of my favorite aspects of the cardigan. I didn’t realize I flock to yellow tones so much until I added this vest to my knitwear stash. Yet, yellow works so well as a neutral which makes it match almost everything in my closet. Also, this is a great layering piece that can work year round. I must admit that I did not enjoy working this vest up very much. I did like that it was an easy knit. So, I loved working on it while watching Netflix and reading. But, since it was worked from the bottom up, I couldn’t get a feel for how it was going to look. I just felt like I was knitting this block of fabric. It was very unexciting. Then, I made up in my mind that I was going to get this project off my needles. Especially, before the Outfit Along 2017. So, I did just that over the weekend. I’m pretty pleased with the finished object and I just love the feel and drape of Quince and Company’s yarn. I can’t wait to knit more things with this yarn. Will I make it again? As of now, I don’t think so simply because I did not enjoy knitting the garment that much. Also, while I like the fit and shape of the vest, it is still not my favorite shape of clothing items. 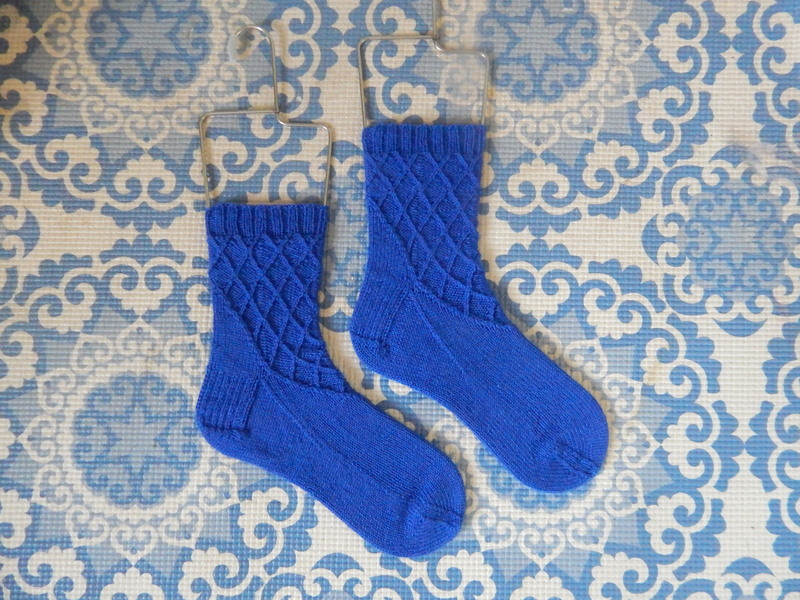 Life’s too short to knit items that don’t fit into the favorite category. I did shorten the collar portion by 5 rows because I was running out of yarn. I got gauge and the pattern stated that I would need 4 skeins, but I still was short. I had just enough yarn for the armholes, so shortening the collar was a good call. Playing yarn chicken stresses me out. Lol. 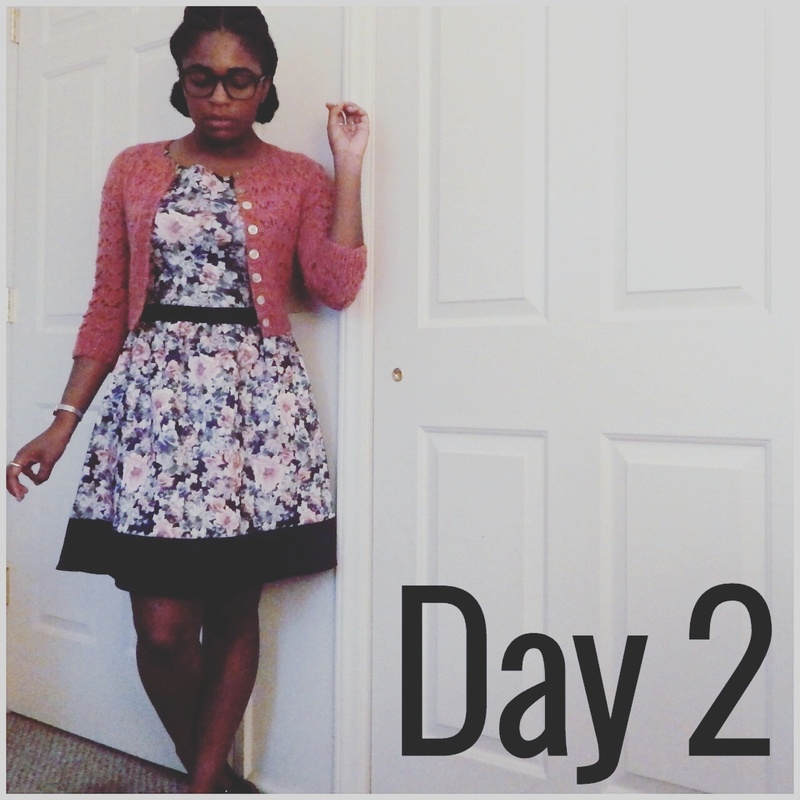 Day 2 (Monday) – I’m wearing my Hetty cardigan, which is still in frequent rotation. 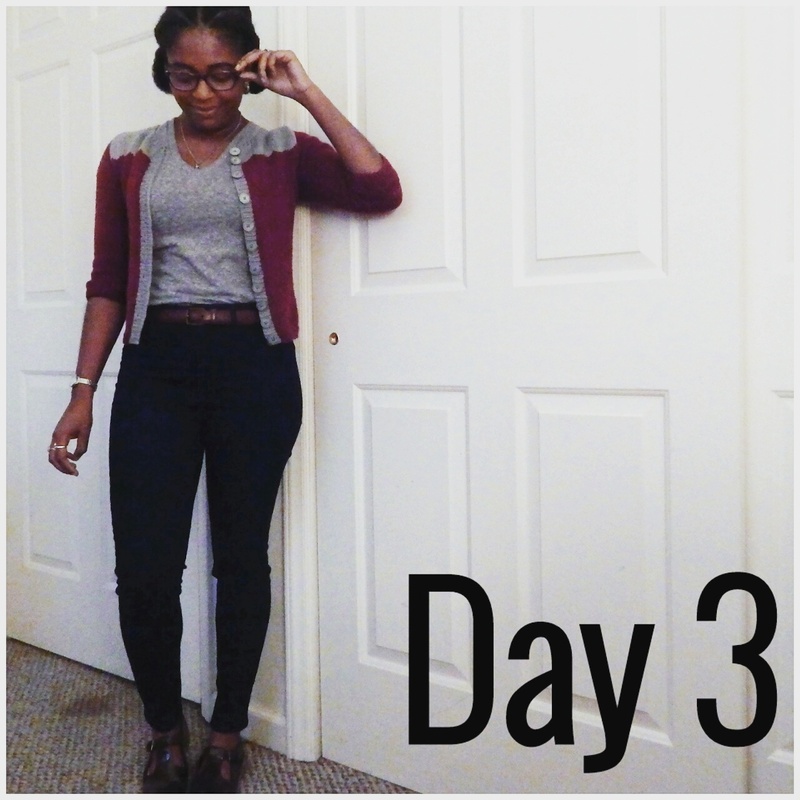 Day 3 (Tuesday) – I’m wearing my second Penelope cardigan (which I never blogged about). I really like wearing this because it is in my school colors. 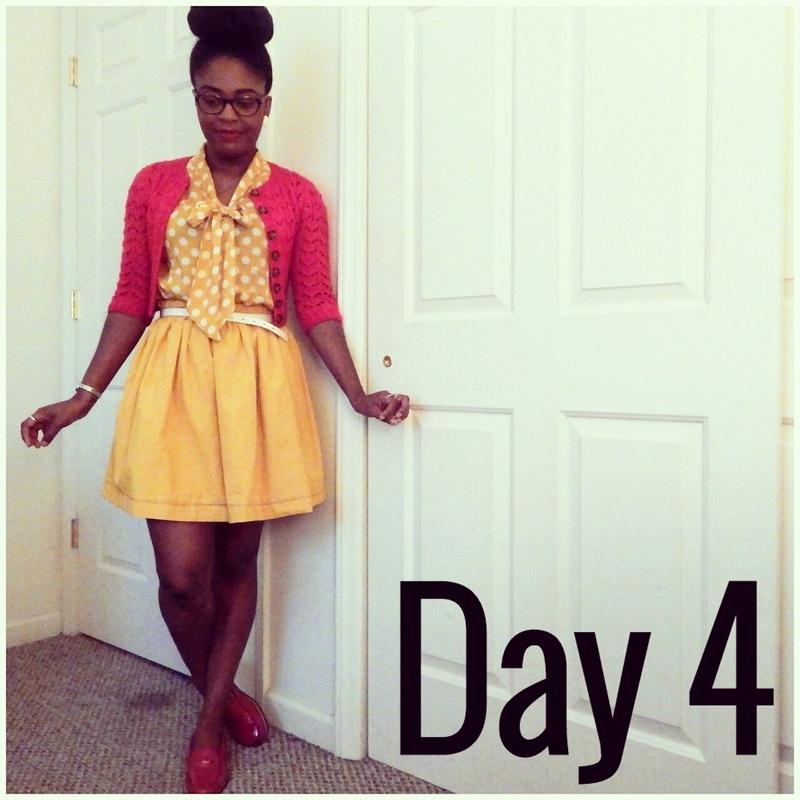 Day 4 (Wednesday) – I’m wearing my self-drafted yellow skirt with my red Hetty cardigan. Day 5 (Thursday) – It was freezing cold and raining like crazy on this day! I should’ve worn tights. But, I felt really cozy up top in my Elsa jacket, which I wore zipped up most of the day. 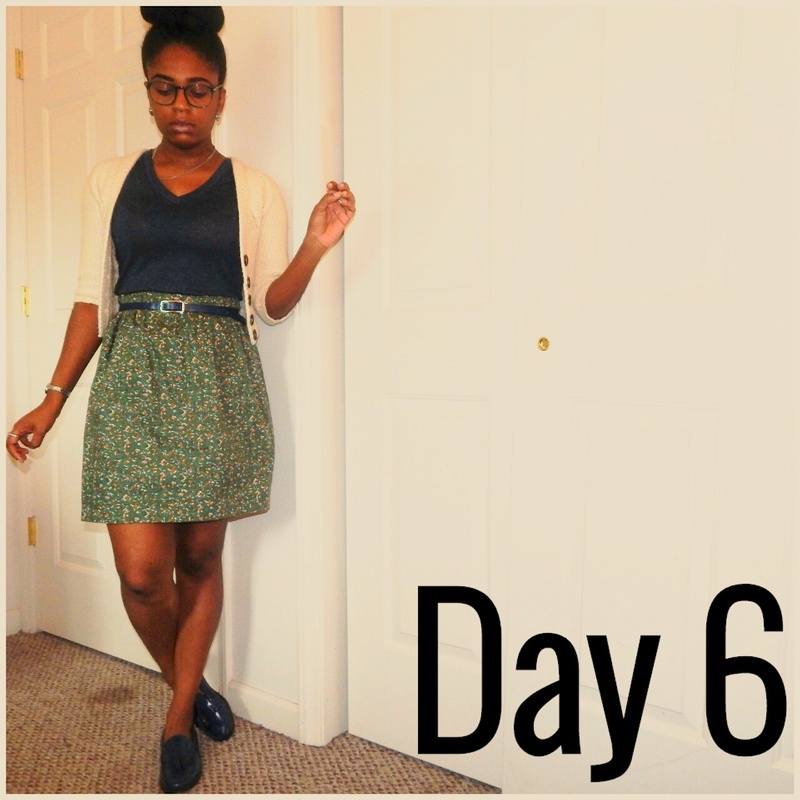 Day 6 (Friday) – This skirt was the first thing I ever sewed. It is just an elastic skirt. I’m wearing it with my Henriette cardigan, which gets frequent rotation. 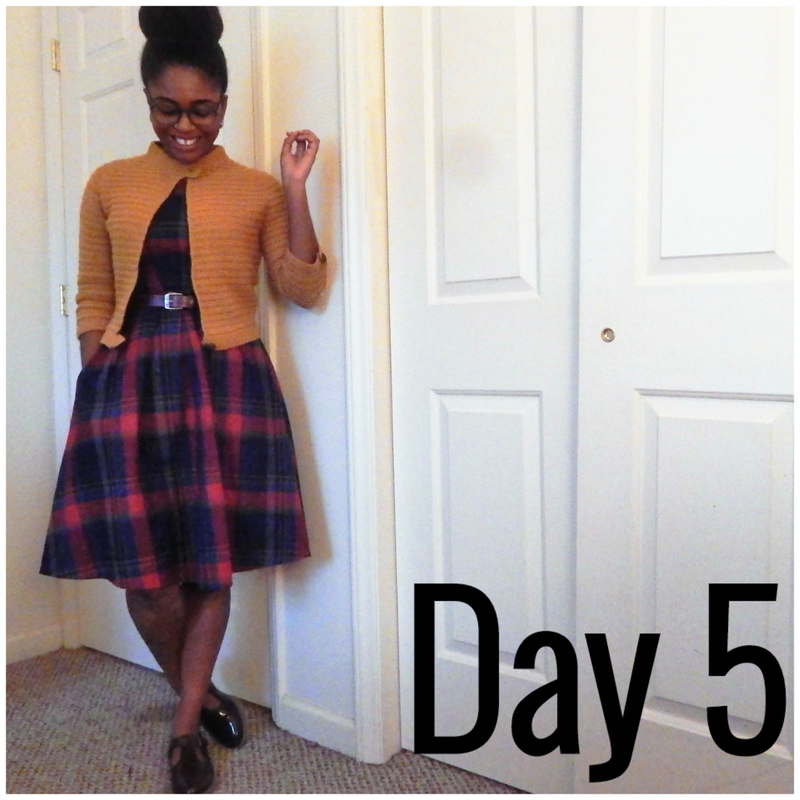 Day 7 (Saturday) – I wore this to work yesterday and received quite a few compliments on my outfit. To date, this is the knit that I am most pleased with. It took me 2 years to finish and I am so happy that I finished it. It is my Vivien sweater.